Published on September 01, 2016 by Robert L. Pincu, Esq. For the last four years, Counsel Press has been voted Best Appellate Printer, Best Appellate Services Provider and Top Legal Research Provider in the New Jersey Law Journal’s rankings. If we’ve provided you with the best service, please share that in the Best Of 2016 survey. Any law firm staff member, judges and those who directly use Counsel Press' services may vote in this survey. There is no geographic restriction. –Best Appellate Printer - Page 3, Item 1. 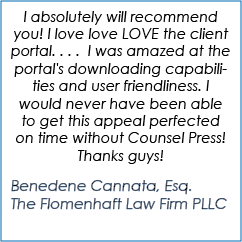 –Best Appellate Services Provider - Page 3, Item 2. 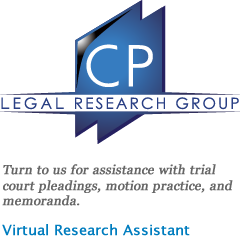 –Best Legal Research Service - Page 6, Item 3. VOTER APPRECIATION RAFFLE: In appreciation of participants' time and interest, Counsel Press will hold a Voter Appreciation Raffle for prizes. All participants in this year’s survey, regardless of what service provider(s) they vote for, can enter our Voter Appreciation Raffle for a chance to win an Apple Watch 2. 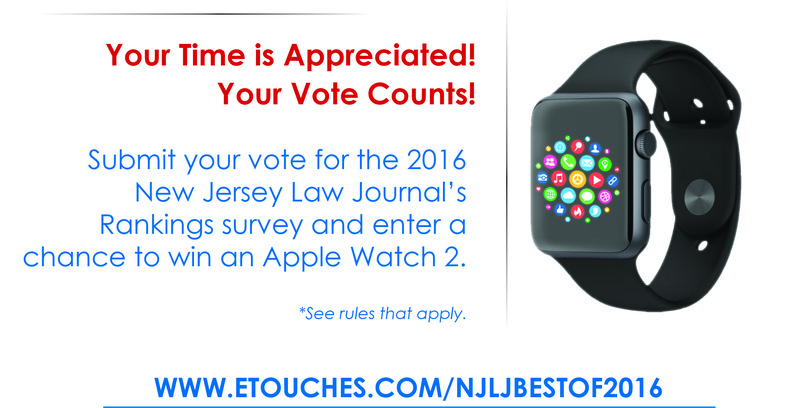 RAFFLE RULES: You must complete the Best Of 2016 New Jersey Law Journal online survey (link provided above) and e-mail the screenshots of the completed page 2 (Your information) and last page (Thank you for taking this survey) to ybalashchenko_at_counselpress_dot_com or fax the printed screens to 718-696-0695. Entrants must be a law firm staff member, judge or direct user of Counsel Press' services and use their own name and work e-mail address to complete the survey. Voting for specific provider(s) will not increase your chances of winning the prize. Raffle begins September 1, 2016 and ends September 30, 2016. RAFFLE PRIZE: One winner will receive an Apple Watch 2 (any Apple Watch 2 up to $399). The prize must be claimed within one week of notification or it will be awarded to another entrant selected in the same manner as the winner of the unclaimed prize. The prize is non-transferable, non-negotiable and not redeemable for cash, credit or merchandise. RAFFLE WINNER: One winner will be selected by random drawing from among eligible entries. The winners will be notified on or before October 15, 2016 by their e-mail addresses used for the raffle. Odds of winning depend on the number of eligible entries received. Entrants agree Counsel Press Inc. has the sole right to decide all matters and disputes arising from this raffle and that Counsel Press’ decision is final and binding.